One of my favorite aspects of collecting comic books is all of the incredible artwork that publishers commission for the covers of their issues. You'll often find spectacular cover art for comic book covers that is worthy of framing and displaying. That is one element of print editions that just doesn't translate over as well to digital versions of comic books. To keep customers repeatedly visiting comic book shops on a regular basis, publishers spread the release of their titles' new issues throughout the month. So every Wednesday is always a "new comic book day" with a variety of comic book selections debuting each week. I always enjoy making a stop by my local comic book shop on Wednesdays to peruse the shelves for some new stories to read and to delight in all the great illustrations that decorate the covers of that week's featured publications. 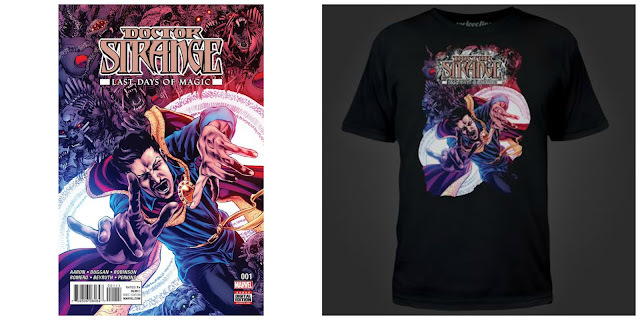 So I was very enthused to learn about a new partnership between welovefine.com and Marvel that will let people wear the art from their favorite new comic book covers on their chest. Each week We Love Fine will release for sale on Wednesday limited edition t-shirts featuring the cover artwork from the Marvel super hero comic books that arrived on store shelves that day. Like the artwork on the newest issue of the Amazing Spider-Man? You can now get a t-shirt displaying it from welovefine.com. Don't wait to order though as these shirts will only be available for a few days then replaced with new selections the next Wednesday corresponding with Marvel's most recent comic book releases that week. These t-shirts cost just $15, plus shipping and handling, and are available in mens basic crew tee or womens basic fitted tee in adult sizes Small to 2XL. The shirts are 100% cotton and black in color to frame the artwork displayed on its front. The exclusive We Love Fine / Marvel shirts are only available in black and though I'm not a fan of white or black t-shirts I can understand how this coloring really does a nice job of highlight the artwork which is the primary reason people would buy the product plus is probably a financial necessity to ensure the profitability of a limited run printing while keeping the price as affordable as they have. 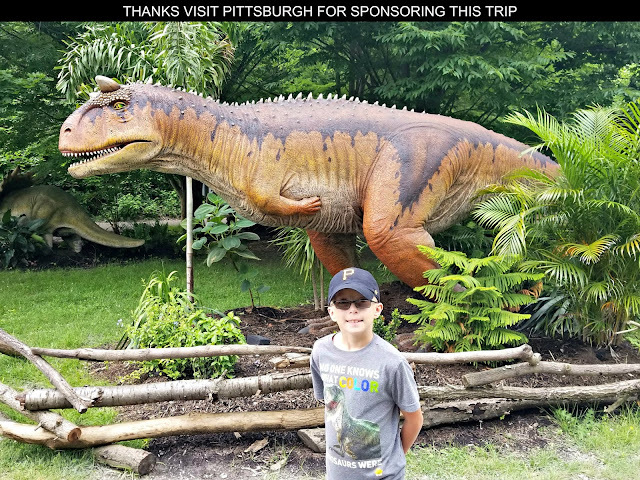 Hopefully if this program is successful they may add some other color options in the future for the t-shirts that are complimentary to the particular artwork you've selected but for now black t-shirts aren't much to gripe over. If you like to wear clothes that have a sense of fun to them, are a bit unique and you most likely won't encounter someone else wearing at the same time you are sporting them these limited run t-shirts are a great option to accomplish that. They are also a great way to personalize your wardrobe a bit by adding artwork featuring your favorite comic book characters that really appeals to you. 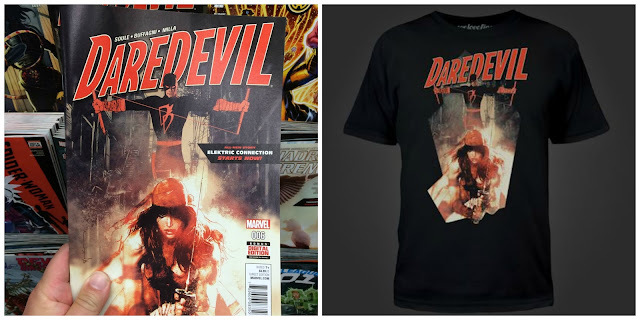 If you enjoy comic book artwork and super hero characters you'll want to regularly check out welovefine.com to see what Marvel Covers t-shirts they are printing up each week.